The corner of Schuyler and NE 7th Avenue, just barely outside of Eliot Neighborhood, is now the home to a few businesses that you will recognize. The prep kitchens for BlueStar Donuts are one of the tenants at the newly remodeled Mont Blanc Building. Unfortunately no sales or samples are available at these locations but the delicious smells that escape the building make them a welcome new neighbor. Also housed in this building is Molly’s Grown To Eat that makes sandwiches and convenient grab and go items you find at grocery stores and convenience stores. Based out of Seattle it is nice to welcome them to Eliot. 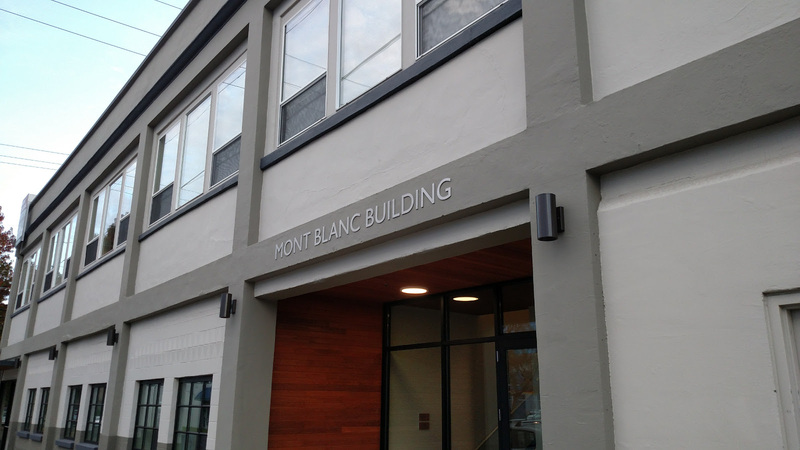 Recently moving from Knott Street and also changing their name from Rising Tide Medicine to Alder Family Medicine is the third business to be housed in the Mont Blanc building. According to their Facebook page, Alder Family Medicine is a clinic which offers holistic integrative therapeutics for its patients. The goal being to help support patients in all of the steps necessary during their process of healing. It is also a place which serves as a classroom for both patients and other health care practitioners to deepen their understanding of the healing process. The fourth business, Kinship House, according to their website, provides outpatient mental health services to children and their families. They specialize in championing children and families with target interventions during all stages of foster care, reunification and adoption. Finally, Brazi Bites seems to be the tenant with the most press. They were fortunate to be on Shark Tank and have since started selling their gluten free Brazilian Cheese Bread developed from a family recipe in stores like Whole Foods, New Seasons, Fred Meyer and QFC . There are a few suites still available so it will be exciting to see who the rest of the new neighbors will be. thanks for letting us know about these new vendors, Sue!